Music Tourism Report: Proposed Classic Center Arena Endorsed, GSAE, Hospitatlity Newsmakers, and more! 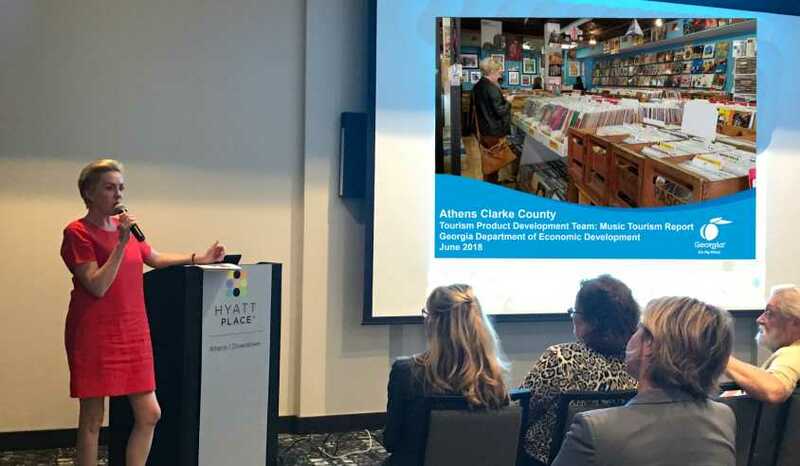 The Athens Convention & Visitors Bureau is the official destination marketing organization for Athens-Clarke County, Georgia. Our primary goal is to increase the economic impact of the hospitality and visitor industry by attracting individual visitors, group tours and meetings and conventions to Athens. Tourism WORKS for Athens, contributing $310.17 million in spending, 2,872 jobs and $21.24 million in local and state tax revenue in 2017.